I really couldn't help but to share this amazing picture of NASA's Endeavour Space Shuttle docking, for the final time, at the International Space Station. 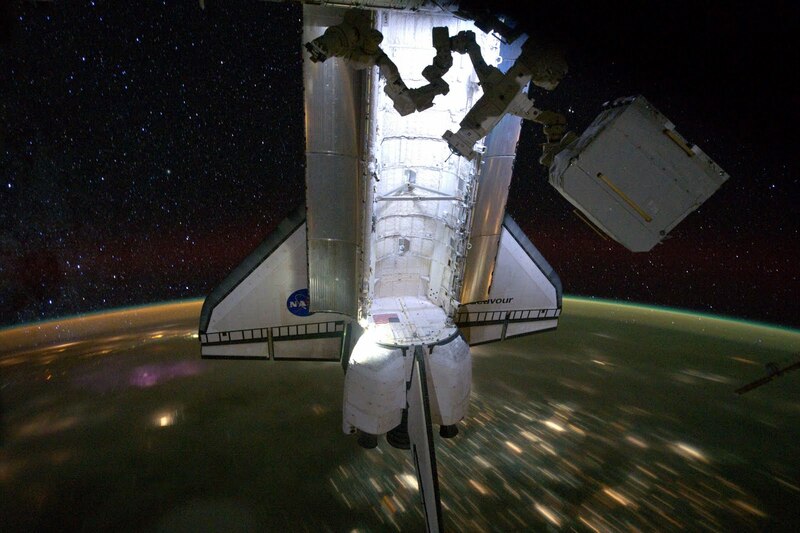 As it sits, docked with the ISS, the shuttle and the station orbits at a relentless speed across the night skies set in front of the spectacular cosmos. The wonderful workhorse of human advancement will be heading back to Earth soon to complete the STS-134 mission. At the end of this final mission for Endeavour, it will be prepared and delivered to forever stand as a museum display. Maybe it will inspire the next generation to continue in the footsteps of those who came before us and dreamt up this wonderful vehicle to the stars!